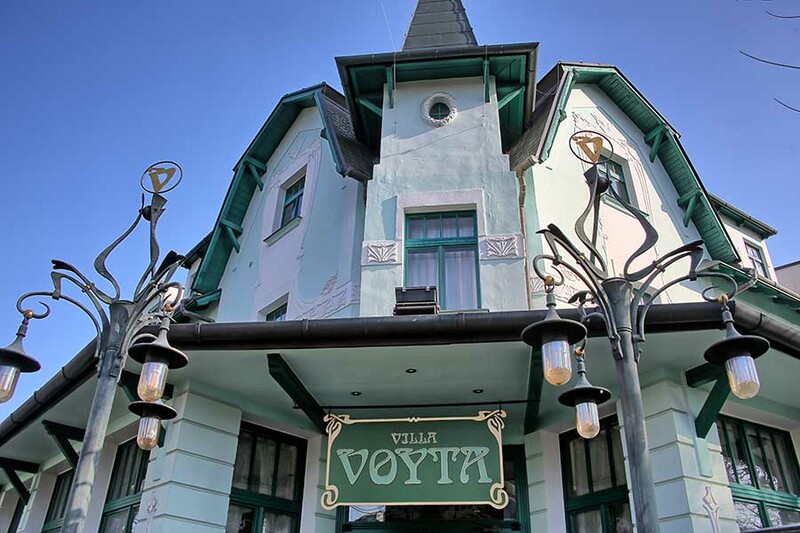 The Art Nouveau period exudes from both the exteriors and interiors of the hotel, restaurant, hotel lobby with reception desk, all hotel rooms as well. After the unique reconstruction and rebuilding of the original Daliborka inn since 1912 developed in 1991 one of the nicest small hotels in Prague. 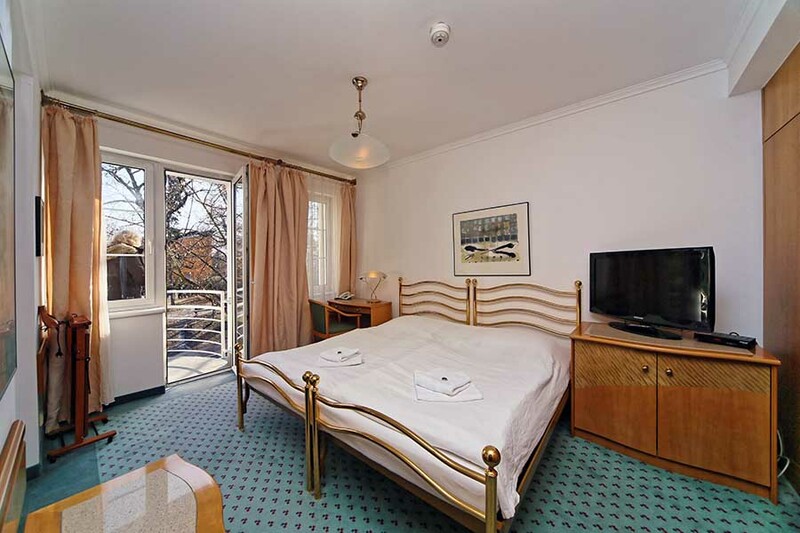 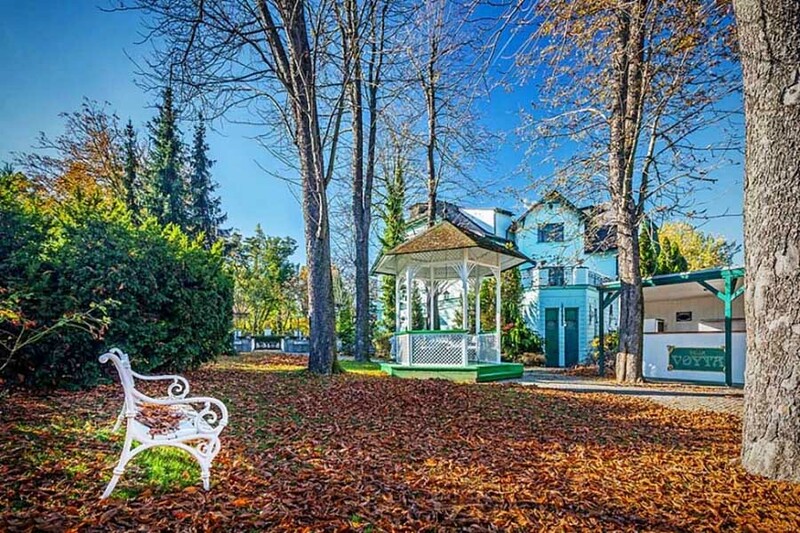 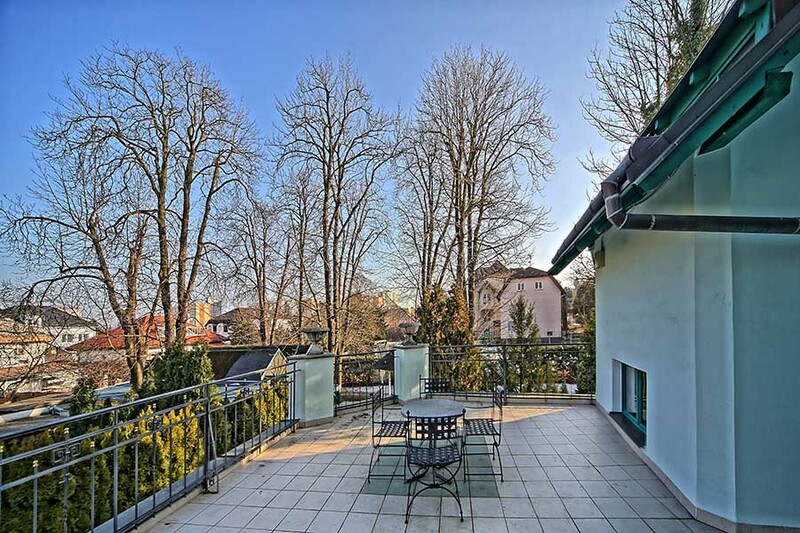 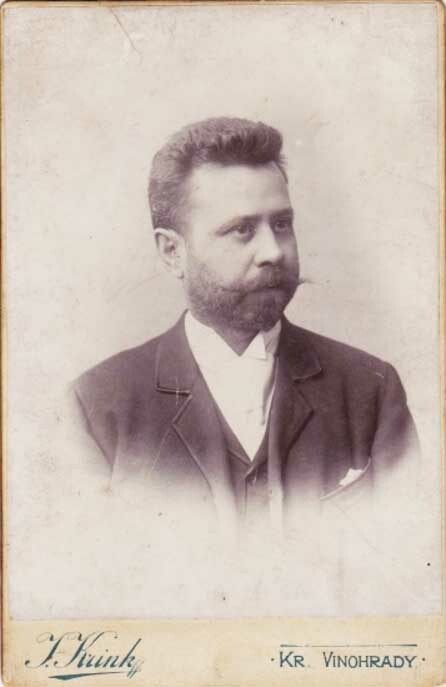 The accommodation is provided in two buildings: the first is a historical building - the original Daliborka Inn from 1912 built by Mr.Josef Vojtech (in whose honor the hotel was named) in Art Nouveau style. 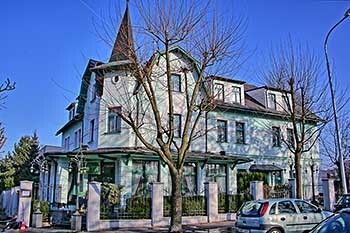 After the unique restauration and completion of this building in 1991, this property became again a hotel with restaurant. It includes 12 superior double rooms and a honeymoon suite with terrace, restaurant Villa Voyta, a bar with two conservatories, a hotel lobby with reception service, and a summer garden with an arbour. 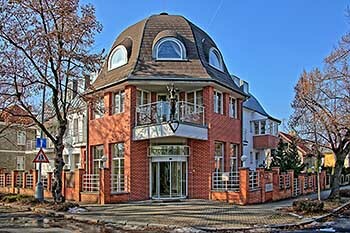 All premises and facilities are placed in Art Nouveau style, coming together to create a unique historical complex. 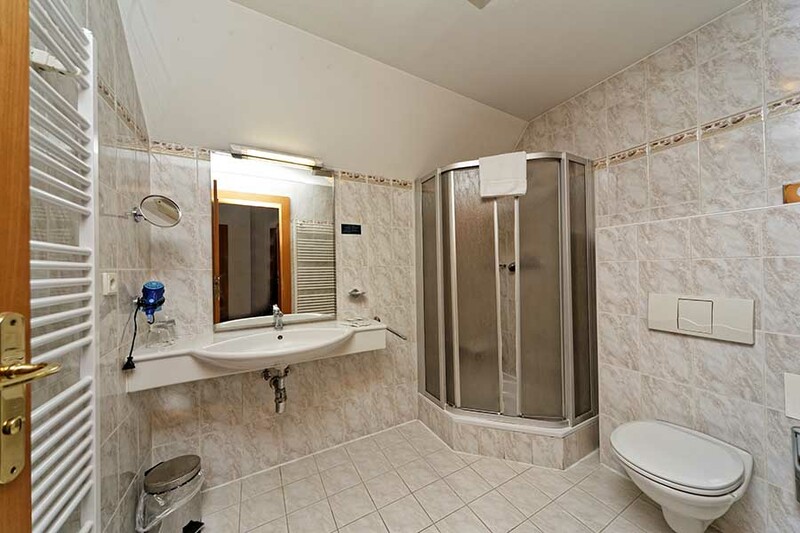 The second building Villa Voyta Garni is built in 1996 in modern style and includes superior stylish accommodation in 6 double rooms, a Family suite, and a Tower apartment. You can also find here 4 conference rooms, hotel fitness and premises for relax massages. 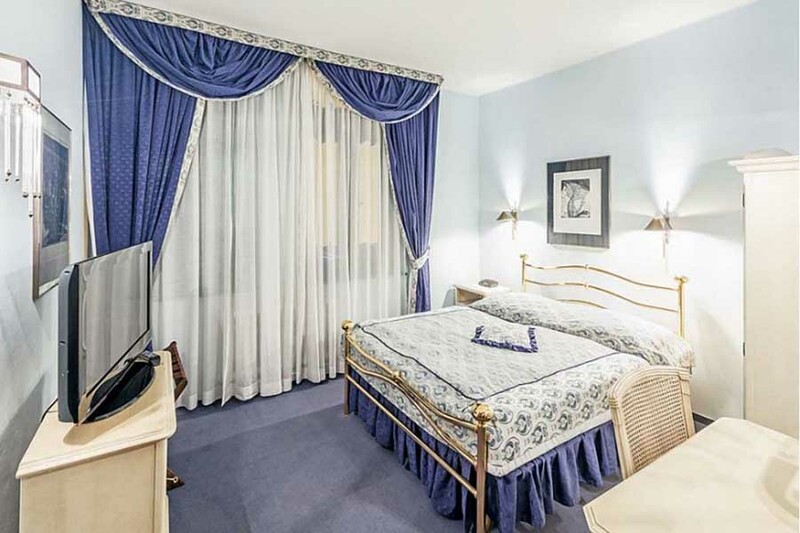 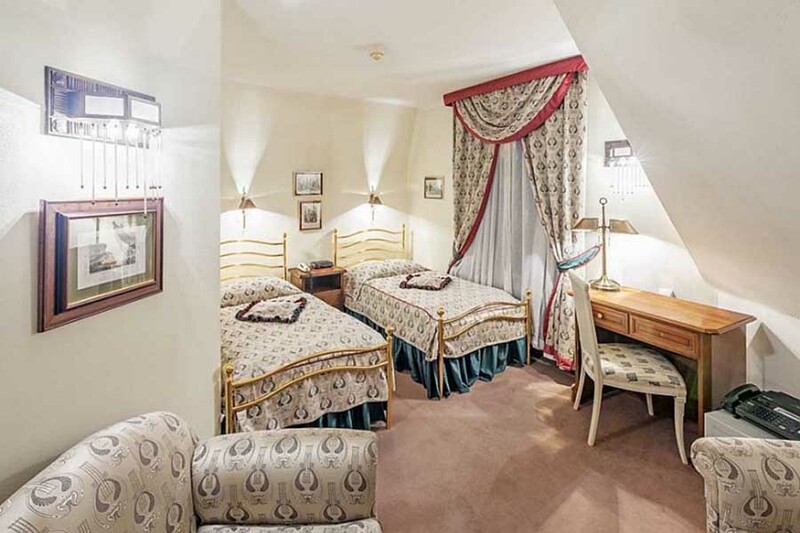 The historical premises of hotel hold 12 double rooms reconstructed in Art Nouveau style. 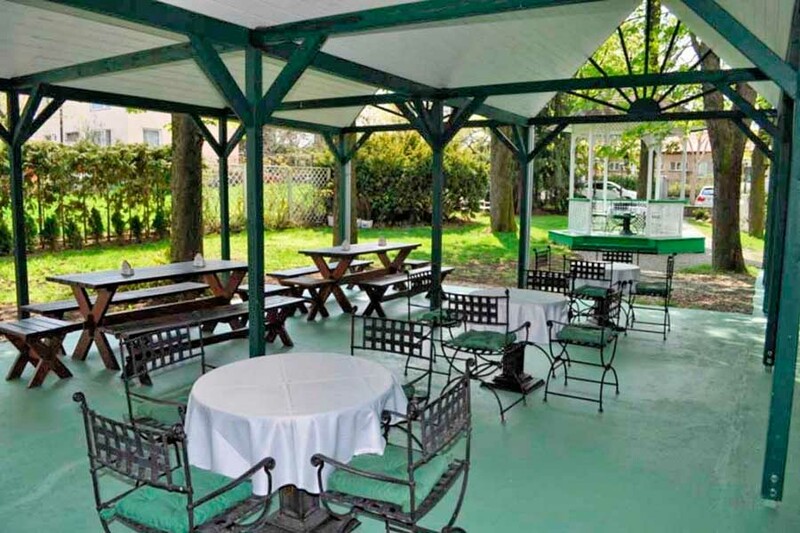 The entire hotel complex consists of a Romantic suite with terrace, restaurant, hotel lobby with reception service (6.30 a.m - 11:30 p.m.), and a summer garden with an arbour. 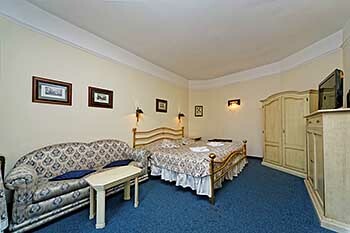 Romantic suite for 2 persons is situated on the first floor of the historic building Villa Voyta. This is a light room with king size bed, bathroom and independently accessible large terrace 40 m2 large facing the hotel garden to the southeast. 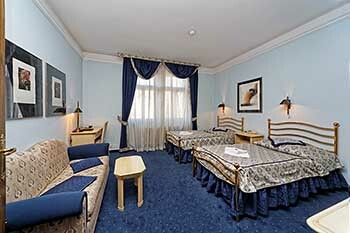 This room is popular for wedding accommodations for newly married couples. 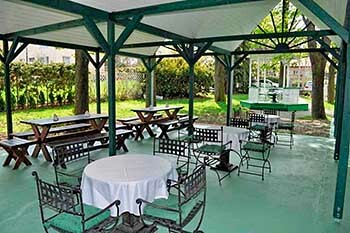 You can enjoy your breakfast or romantic dinner on the terrace. Equipment - LCD TV, Wi-Fi, outdoor furniture. 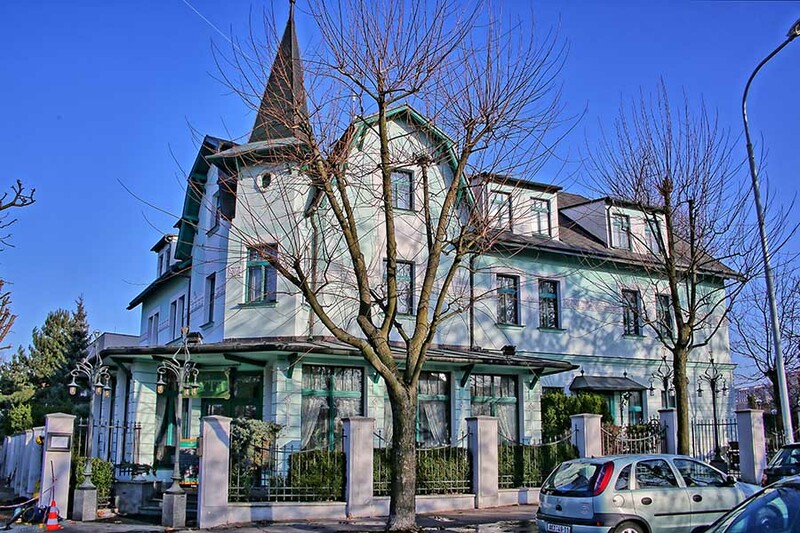 Villa Voyta Garni (15 metres from the historical building) offers 6 double rooms in modern style, Family suite and Tower apartment. 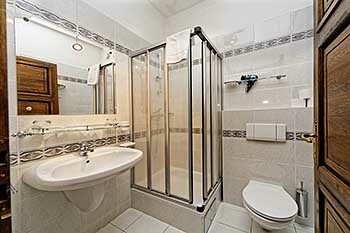 Tower apartment for 2+2 persons is a spacious apartment on the second floor of the modern building Villa Voyta Garni. 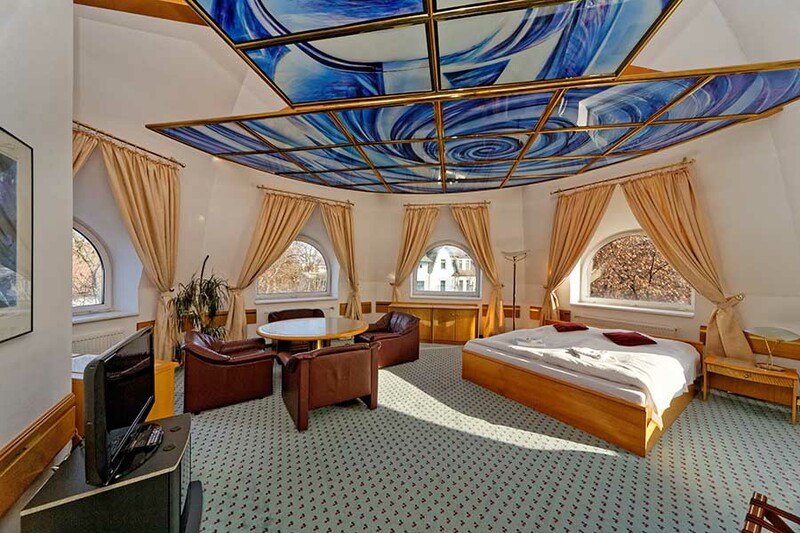 Ceiling of the living area is formed by dome vault of the building tower, glass decorative bottom view creates interesting detail of the whole space. Living area is 68 m2. 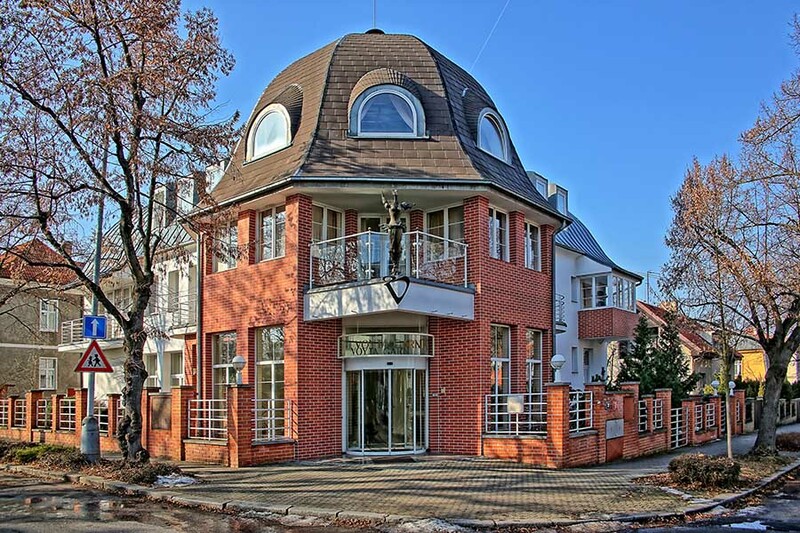 If you prefer modern style and architecture, this is just for you. Equipment - king size bed, leather three-piece suite, LCD TV, safe, Wi-Fi, air conditioning. 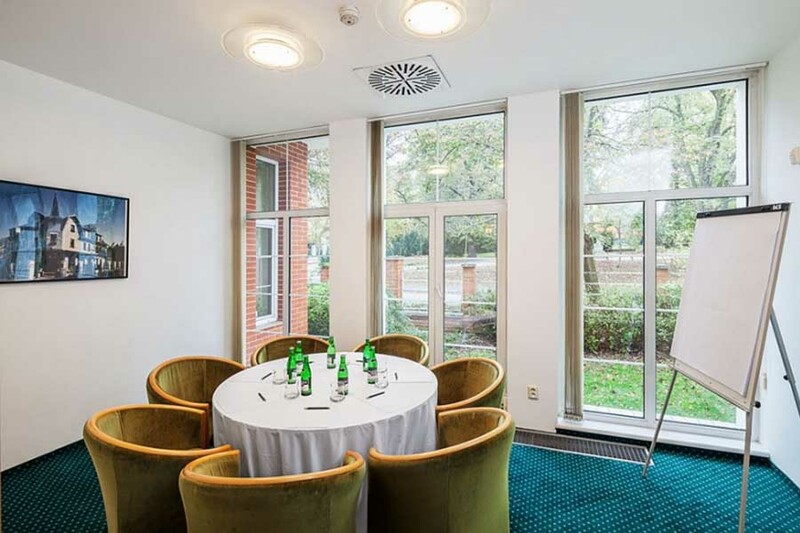 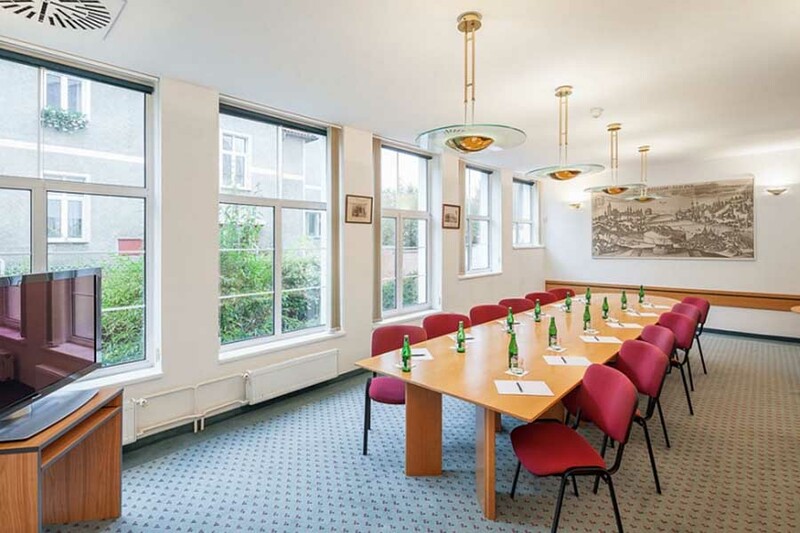 Four conference rooms are situated in the depandance, providing more than 150 m2 of variable conference space. This is a suitable place for your event arrangements (conferences, training, business meetings). 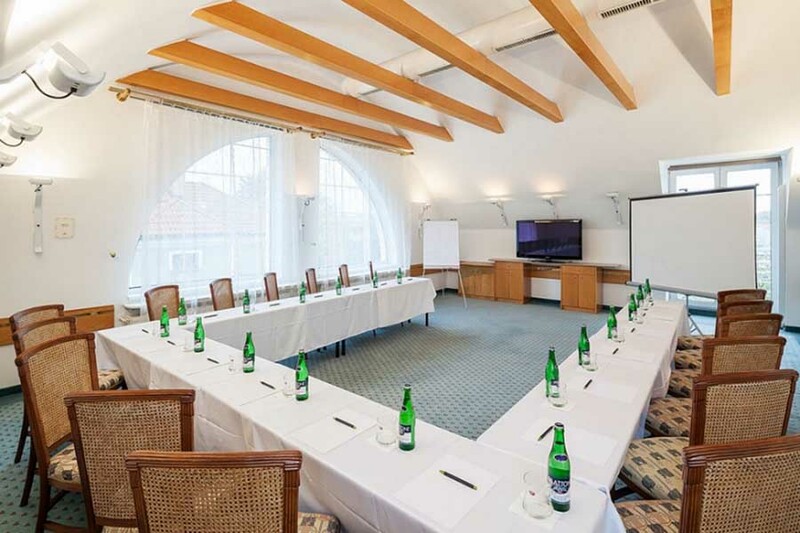 Our professional team will custom tailor and ensure that each event runs smoothly. 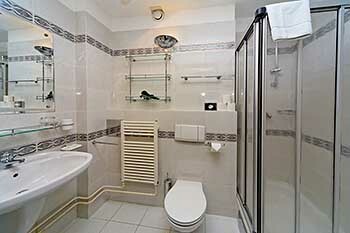 Our clients may enjoy the advantages of good accessibility, free parking and free Wi-Fi access.